Edward Gough Whitlam has passed on, leaving behind millions of citizens saddened by scores of eloquent obituaries reminding us how, once upon a time, Australian politics produced world-class leaders courageously committed to the public good. I must confess I shed tears upon hearing news of his death. When great democratic leaders go, they often have that effect. It is not just their lasting policy achievements that make citizens weep. People are moved to tears because they sense that genuine democratic leaders have the knack of mobilising persuasive power, let’s call it, the ability to motivate citizens to do things for themselves, to win public respect by reminding everybody leaders are always deeply dependent upon the people known as the led. True leaders lead because they manage to get people to look up to them, rather than dragging them by the nose. 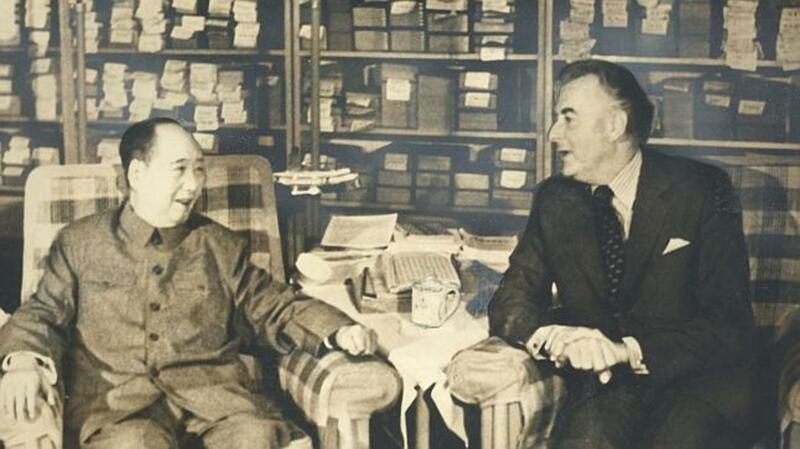 Gough Whitlam was certainly up there in the ranks of genuine democratic leaders. He had dollops of what Steve Denning calls narrative intelligence. Gough Whitlam was blessed with the learned art of persuading and inspiring citizens by combining opposites. Enthusiastic hope, inner calm and level-headed realism. Courteousness with the resolute refusal to be biddable. The ability to listen to others, to poke fun at oneself and, when confronted by enemies, to exude a certain radiance of gracious style. By combining these opposites, great democratic leaders create room for citizens to see and judge them in various ways. That’s why, when the end comes, citizens mourn them in many different ways, as I did by lighting a candle in his honour, in memory of his policy achievements, and my one and only meeting with him. ‘What do you do?’, he asked, ignoring my question. ‘I’m a professor of politics in London. I write about democracy. I was born in Adelaide a hundred years ago, but I’m now briefly visiting, as a guest of the University of Sydney’. ‘I hear they’re all up their own arses there’, snapped one of its most distinguished Arts degree graduates, winner of a rowing blue and editor of Hermes, the students’ magazine. My instincts counselled against taking the bait. I instead shifted subjects, to the moment when the country was set on fire by public opposition to the Vietnam War. ‘Gough, may I ask you a personal question?’, I then asked, hoping I’d just enough time to get away with a small indiscretion. And with that short, self-mocking sermon on the need for greater equality and more humility, a core democratic virtue he prompted me to think and write about in detail, Gough Whitlam was whisked away, into an excited crowd of well-wishers, parliamentary admirers, journalists, old enemies, photographers, family and friends. I didn’t ever again have the privilege of meeting him, but I never forgot that face-to-face, fleeting moment with the man who no doubt is now busily questioning his creator. I probably never will.